SBI Clerk Result 2016 is declared by State Bank of India at official website sbi.co.in. Now Main Exam was held successfully on 25 & 26 June 2016. The Pre result can be checked now. Those who had given the online examination, can watch their qualifying status anytime by visiting this page. There are a total of 17140 posts of Junior Associate (JA) and Junior Agricultural Associate (JAA) in Clerical cadre which are to be filled based on the outcome of this recruitment process. Here you will be given latest updates regarding SBI Clerk exam Result 2016. Check out this page for all the updates. The Marks of SBI Clerk Main exam had been declared on 07.11.2016. SBI Clerk Main Exam Result / final result had been announced on 27 October 2016. SBI Clerk Main Examination Marks are available at above link. 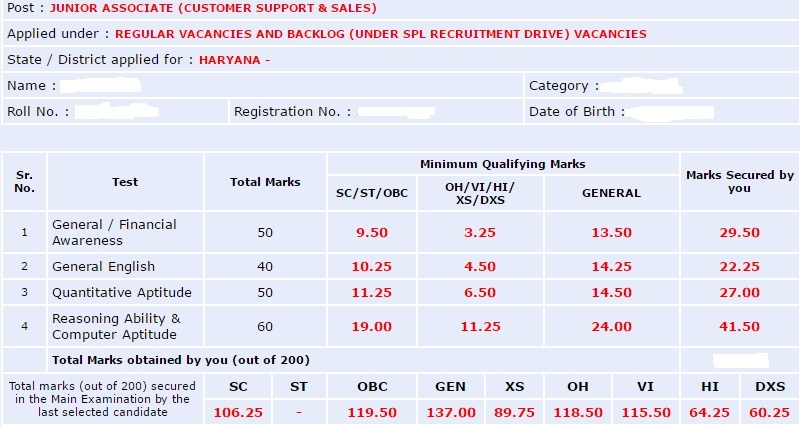 Actual cut off marks for SBI Clerk Main exam for Haryana & UP are given below. Pre Exam marks had been declared on 23 June 2016. SBI Clerk Result had been declared in the form of admit cards for Mains. You can visit the admit card page to find your result / qualifying status. Exam date Main Exam: 25 & 26 June 2016. First the preliminary exam was to be held at various centres across the country. Lakhs of candidates registered and appeared for the examination. There are a total of 100 questions that have been asked in this Pre exam. The difficulty level of the online test was easy to moderate. After the conduct of exam, the process of preparing results will commence. Main Exam Marks: SBI is likely to announce Main exam result in August 2016. Marks / Score card for Mains will be available around 1 week from declaration. The result of Preliminary examination had been announced on 17 June 2016. Main exam call letters were also released on 17 June 2016. Now SBI Clerk marks / score card (Pre) are available from 23 June 2016. Anything happens, you will be updated via this page. This page will let you stay in touch with SBI Clerk Pre Exam Result 2016. 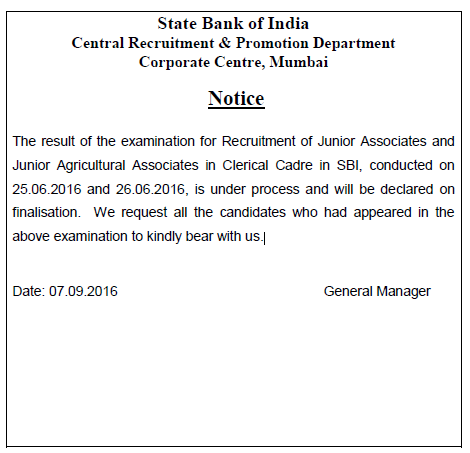 SBI Clerk Mains Exam date: 25, 26 June 2016. 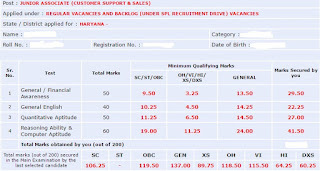 You can check the expected cut off marks of SBI Clerk Pre 2016 (out of 100). 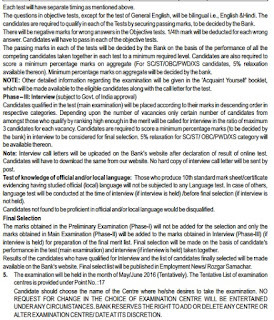 State Bank of India will release the merit list i.e. list of shortlisted candidates for Main examination. The roll numbers of successful candidates will he posted in that pdf. 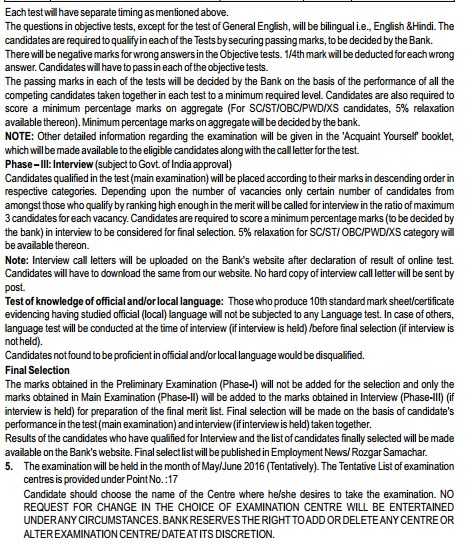 Also there are some chances that SBI may declare the cut off marks along with score card of candidates. 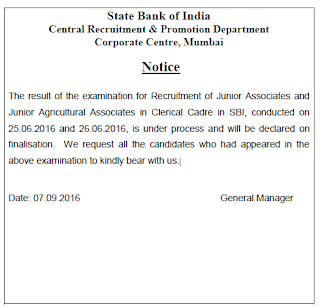 SBI Clerk Final Result may be declared in August 2016. However it may take more time. It depends on whether the next stage i.e. interview or any other test held or not. It is quite easy to check results after declaration. SBI will upload a pdf file showing the roll number of candidates who had been allowed to appear for Mains to be held on 25 and 26 June 2016. SBI Clerk Result for Prelims will be announced around the above given date and you can check them here.